The third-largest city in Australia, Brisbane has great year-round weather, a bustling cultural scene and excellent dining options. Despite its size, Brisbane is less frenetic than Sydney and has a laid-back charm and friendly atmosphere – perhaps this is why the city is popular with Australians as well as international visitors. Spring (September to November) is warm and sunny as average temperatures hover around 19C. The Brisbane Festival is held in September and the city comes to life with music, theatre, dance and comedy. Summer (December to February) is hot and humid with temperatures reaching up to 30C. Expect thunderstorms at this time too, as summer is also the wettest season. Autumn (March to May) sees a decline in temperature, and as the season progresses, a decline in rainfall too. Temperatures range between 15C to 25C. 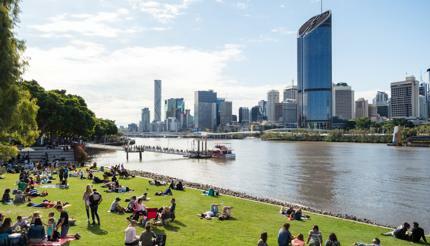 Winter (June to August) is cooler than the rest of the year, with temperatures reaching between 11C and 21C and the weather is largely dry, making this a good time to visit Brisbane. Nights and early mornings can be chilly so pack a sweater with you. There are a number of great public transport options available to get you across the city. Grab a “Go Card” (a contactless smartcard) to save yourself some money when travelling on all Translink buses, trains and ferries. For a free ferry service that can take you along the Brisbane River, use the CityHopper. These ferries run every 30 minutes, between 6am and midnight, seven days a week. There is also a free bus service that circles Brisbane’s Central Business District, stopping at a number of essential spots such as the Central Station and the Queen Street Mall. For more information on the best ways to explore the city, see our Getting around Brisbane guide. 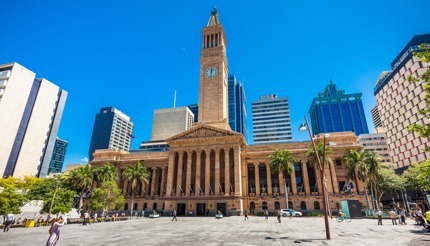 Once the most expensive building in Australia, Brisbane City Hall today houses the Museum of Brisbane which has superb exhibitions celebrating the city’s culture and heritage. Join a free clock tower tour – you’ll ride in a beautiful hand-operated lift to a viewing platform for great views of the city. Follow the locals to the lush parklands for a picnic. 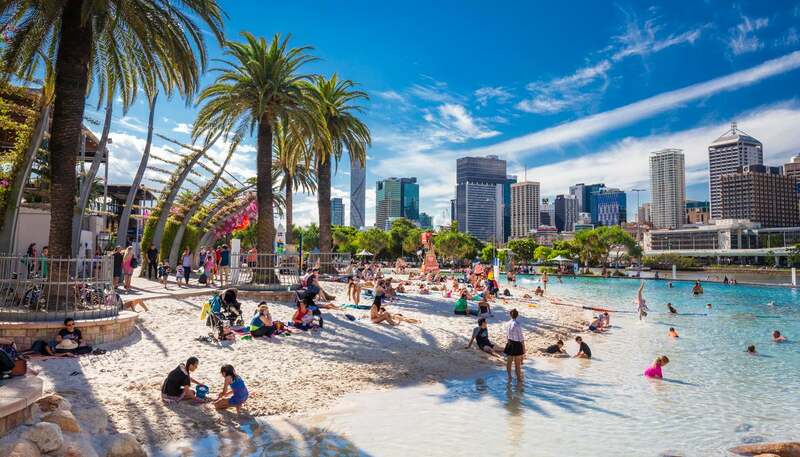 South Bank also has several key attractions – The Arbour, Wheel of Brisbane, Nepal Peace Pagoda and most notably Streets Beach, Australia’s only inner-city man-made sandy beach surrounding a large lagoon. One of Brisbane’s most iconic monuments, the Story Bridge is an architectural delight. Built during the Great Depression to connect Fortitude Valley to Kangaroo Point, the bridge continues to be a recognisable member of Brisbane’s skyline. For adventurous travellers, climb up to the 80m (262ft) summit for spectacular views of the city. Established in 1878, this brewery still produces the classic XXXX beer brand today. Join a 75-minute tour of the brewery and learn to pour a perfect pint. For more ideas of where to visit, check out the Things to see in Brisbane guide. Sydney rock oysters – endemic to Australia, these oysters have a distinct flavour and pair well with champagne. 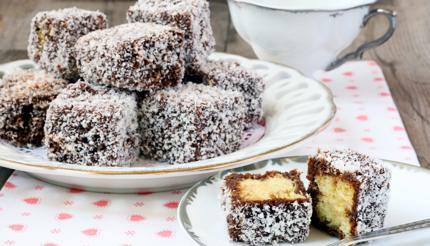 Lamingtons – these little pieces of heaven consist of delicate sponge cake sandwiched together with cream or jam, and are coated in a layer of chocolate and desiccated coconut – delicious! Wine – from Shiraz to Sauvignon blanc, Australia wines are now winning medals worldwide. In between sightseeing and activities, be sure to leave time for a glass of wine. Craft beer – Brisbane is a craft beer haven. From pale ales to stouts, you’ll find something that tickles your taste buds. Tipping: Tipping is optional throughout Australia but 10% is usually expected in top-quality restaurants. From five-star luxury hotels to cheap backpacker hostels and everything in between, Brisbane has accommodation to suit every budget. TRYP Brisbane is a luxury boutique hotel that boasts a selection of art-themed rooms, colourful courtyards, a gym, a rooftop bar and a restaurant. For something more wallet-friendly, Summer House Brisbane is a good choice. Popular with backpackers, this artsy hostel offers free Wi-Fi, a rooftop terrace and a TV room. 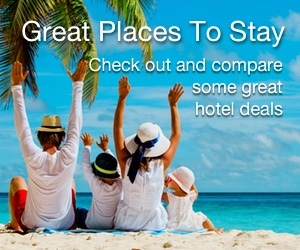 For more accommodation options, check out our Brisbane Hotels guide. This charming city loves a good party and offers a great selection of cosy bars, hip clubs and outstanding live music venues. Walrus Club is a speakeasy-style bar serving up delicious cocktails – the drinks may not be the cheapest but the pub is certainly most atmospheric. For those who want to dance the night away, The Met has three main rooms for you to choose from: the Bamboo room playing RnB, the Coco room playing house, and the main Met room playing host to a number of big-name DJs. For more recommendations, see our Brisbane Nightlife guide. 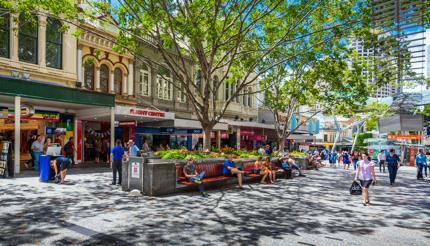 With over 700 stores, Queen Street Mall in downtown Brisbane is the premier shopping destination. For something special, visit the Young Designers Market on Little Stanley Street on every first Sunday of the month to find creations by up-and-coming designers. For more shopping ideas, turn to our Shopping in Brisbane guide. American, Canadian, British and other EU nationals require a visa to enter Australia. For visitors staying three months or less, an Electronic Travel Authority (ETA) or eVisitor visa is required. These can be obtained online and are invisible, meaning that they don’t show up in your passport. For more information on the documents you need before you travel to Brisbane, see our Australia Visa and Passport Requirements page.